This Saturday, January 26, is Australia Day. So it is fitting that it should also be the 150th anniversary of the birth of arguably the first great player produced by Australia, Charles Gregory Wade. Wade was born on January 26 1863 at Singleton, around 120 miles north of Sydney. His reputation as a schoolboy player at King's School, Parramatta was such that it was assumed he would make an impact on the English game when in 1880 he won a scholarship to Merton College, Oxford. Puzzled that no news of his exploits came back, friends eventually wrote to Oxford to inquire what was happening. It transpired that Wade, in spite of his later success in law and politics a rather shy individual, had said nothing of his achievements and so gone unnoticed for more than a year the by college and university rugby authorities. Harry Vassall, the Oxford captain of the time, eventually heard reports of this neglected genius. He later recalled: "At first we were somewhat inclined to disbelieve the reports, since he had not been near the Parks the year before; but when we found there was such a man rowing in the Merton boat we sent him an invitation to play in "picked fifteens". We shall never forget the curiosity with which he watched his first appearance. He did not seem quite at home with the ball at first and his kicking was a little faulty, but everybody who tried to tackle him returned from the attempt convinced that the rumour was true, and that we had secured a wonder who only wanted a little practice to make him the best threequarter of the day". Numerous opponents were to curse the efficiency of the postal service from Australia and Vassall's sense of curiosity. Oxford rugby was at an all-time peak - they were unbeaten in 58 matches between losses to Edinburgh University in November 1881 and February 1885, there were a dozen full internationals in residence in 1882-3 and this talent thrived on the passing game pioneered by Vassall. Wade went straight into the university XV to such effect that he was picked, initially as a travelling reserve, by England for their match at Swansea on 16th December 1882. When Philip Newton, an Oxford forward, got lost on his way to Swansea, Wade was called up in his place. It was a match with numerous firsts - Wales' first home game and the first time England played three threequarters rather than two. And Wade, whose introduction made the innovative reshuffle necessary, was the first of England's many overseas players. It was much less controversial than many subsequent importations. Australia was not yet a political entity (that did not happen until 1901), much less an international rugby team. Wade might not only have anticipated Aleksandr Obolensky's memorable comeback to the Prince of Wales when his right to play was questioned "I attend Oxford University, sir", but the much more straightforward fact of a father from Shropshire. "His seven tries in all made him the highest international try-scorer of the 19th century, the record standing until overtaken by Tot Robinson of England in 1901"
He was evidently a nightmare for opponents, 'a Hercules of a man' who combined size and power with pace and elusiveness. He scored a hat-trick, including one score after he re-gathered his own attempted drop-goal, in the 1883 Varsity match and six tries in four matches against Wales, Arthur Budd recording a memorable performance in 1885 when 'he never played so well in his life and the Welshmen could make nothing of him. He ran and dodged as he liked'. Those six tries, while equalled by several players, remained a record for the fixture until overtaken by Will Greenwood - fittingly enough in Australia, at Brisbane - in the 2003 World Cup quarter-final. His seven tries in all - there was also one against Ireland in 1883 - made him the highest international try-scorer of the 19th century, the record standing until overtaken by Tot Robinson of England in 1901. By then Wade was long established back in Australia. He had returned on graduating and being called to the bar in 1886, beginning a legal career that saw him becoming an extremely young Queen's Counsel in 1891. He played for New South Wales from 1887 to 1889, appearing against the pioneering British touring team in 1888, but his later achievements were in other spheres. Elected to the New South Wales legislature in 1903 he became Attorney-General and Minister of Justice a year later and succeeded to the Premiership, while retaining his other posts, in 1907. While sporting prowess doubtless did him no harm, his political success was built on substance rather than style or charisma - one laudatory obituary noted that: "He lacked the magnetic power of attraction, indispensable to successful leadership, and his oratory kindled no enthusiasm". Unsurprisingly for a man who had made part of his reputation representing coal owners in arbitration cases, his political career was dogged by complaints of anti-union bias. The Australian Dictionary of Biography records that: "Throughout the coal strike of 1909-10 Wade's actions favoured the mine-owners". 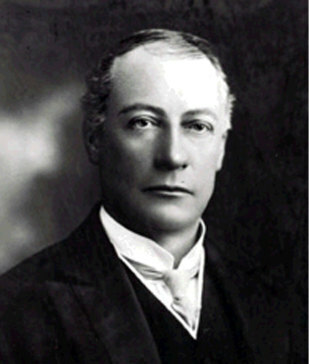 His Liberal Reform administration lost to Labour in New South Wales's general election in October 1910. Wade stayed on as leader of the opposition, and in the legislature until 1917, but never regained office. In 1917 he returned to Britain as New South Wales' Agent-General, was knighted as Sir Charles Wade in 1918 and returned home to become a justice of the state's Supreme Court in 1920, dying two years later. Writing in the 1923 Rugby Football Annual, Vassall described him as "the best threequarter we ever had in England".